Florida has consistently ranked as one of the top states for home foreclosures and was hit particularly hard during the recession. However, a new report from property data and analytics firm CoreLogic shows good news. Florida saw a 41.1 percent year-over-year decline from 2015 to 2016 in foreclosure inventory. It also saw a 30.1 percent year-over-year fall in the number of mortgages in serious delinquency. While Florida’s real estate market is improving, many individuals still face foreclosure due to a variety of circumstances. Florida had the highest number of completed foreclosures of any state throughout 2016 with 45,000. If you are headed into foreclosure or the bank has taken action, call a West Palm Beach real estate attorney from the Law Offices of Larry E. Bray, P.A. to learn more about your legal options. When you believe you are headed toward foreclosure on your home or the bank has filed a foreclosure action, all hope is not lost. You may have multiple options to change the situation or to minimize the consequences. 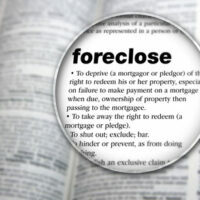 The first best step is to begin working with an experienced foreclosure attorney. At the Law Offices of Larry E. Bray, P.A., we have years of experience representing homeowners in tough spots. Once we represent you, we will try and work with your bank to see if a home loan modification agreement or refinancing is an option. Both of these options can lead to smaller payments that you are in a better position to pay. A modification agreement, sometimes called a restructuring, changes the terms of your loan. It can be a complex and lengthy process, but with the help of an attorney it is possible. Refinancing will leave you with an entirely new mortgage, which can include a new interest rate, duration, and lower monthly payments. Banks will be hesitant to modify or refinance your mortgage if they believe you will simply default under the new terms again. If you cannot get a home loan modification agreement or refinance your mortgage, your attorney will steer you toward other options including short sales or deed in lieu of foreclosure. A short sale is when you sell your home for less than what is owed on your mortgage. In a short sale, you are not left with the remaining balance. Instead, the bank agrees to accept the lesser amount as payment in full for your mortgage. You may wonder why a bank would do this, but the truth is that it is often in the bank’s best interests to accept a smaller amount than to continue with the lengthy foreclosure process. A deed in lieu of foreclosure is when there are no other liens on the property from other creditors so you are able to negotiate the transfer of your deed of your home to the bank as a settlement of what you owe on your mortgage. This is usually only an option after you have listed the home and tried to sell it for a period of time and were unable to do so. Both a short sale and deed in lieu of foreclosure help you avoid the foreclosure proceedings. If you can no longer afford your home but you want to avoid a foreclosure on your credit report, contact the Law Offices of Larry E. Bray, P.A. in West Palm Beach to learn more about your legal options. We have the experience and resources necessary to guide you through this difficult and complex process and help you move forward with life.